Under the supervision of the Director, the EH&S Coordinator position will perform a combination of laboratory safety, environmental and regulatory compliance and industrial hygiene, as well as providing assistance to the Director with campus wide regulatory requirements and best management practices. This position will assist in the development and implementation of policies, procedures and best management practices and complete required inspections and recordkeeping for the EHS Office. The EHS Coordinator will support compliance regarding campus wide environmental health and safety management programs, including chemical and biological safety, hazardous waste management and applicable NFPA life safety requirements. The EHS Coordinator will also assist with training faculty, students and staff to operate at optimum safety and will inspect, maintain, update and improve campus safety. In addition, the EHS Coordinator will provide management and oversight of the University’s Chemical Environmental Management System (CEMS) program, Safety Data Sheet (SDS) management, as well as the Blood Borne Pathogens (BBP program). • Manages the laboratory registration program for Touro College campuses (NYC/LI). Schedules and performs routine audits of laboratory activities and facilities, maintains comprehensive and accurate records of inspections, consults with Principal Investigators (PIs)/teaching staff/lab personnel on inspection findings and provides appropriate recommendations based on regulatory compliance and best-practice guidelines. Assists with the implementation and monitors/documents the progress of corrective actions. Performs follow-up inspections as necessary. • Assist laboratories in performing risk assessments and make recommendations on appropriate lab safety practices. • Assists with the management of regulated waste streams (chemical, biological, radiological, universal) for all campuses. • Assists with infection control and other compliance programs for Touro Dental Health. • Investigate incidents, accidents, and other safety issues that may arise. • Conducts facility safety & environmental compliance audits; produces audit reports. Monitors and documents the progress of corrective actions. • Conducts trainings on a variety of safety/compliance and emergency response topics, including CPR/AED. • Maintain strong collaborative and professional relationships while actively promoting a safety culture. • Provide emergency response support. • Bachelor’s degree in science, engineering, environmental science, industrial hygiene, or closely related field. • Minimally 2-4 years of work experience, preferably in an academic, scientific or healthcare setting. An equivalent combination of education and work experience may be considered. • Working knowledge of Microsoft Office suite, particularly Word, Excel, PowerPoint and Access. • Must be able to use iPad/iPhone applications. • Experience performing audits/recognizing hazards and preparing technical reports highly preferred. • Candidate must be an adept learner capable of receiving training/coaching in advanced subject matter and mastering material over time. • Excellent organizational, interpersonal and communication skills (written and oral). • Must be capable of communicating a range of technical issues to a diverse clientele. • Must be self-motivated with an outstanding ability to take initiative, prioritize, manage projects, and meet deadlines with minimal supervision. • Able to lift up to 45 lbs. • Work within laboratories and other areas containing chemicals, biohazards, and radioisotopes. 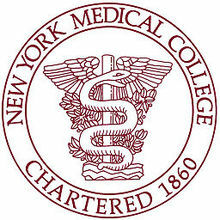 • Position will be primarily based at New York Medical College (Valhalla) campus; must travel to other NYC/Long Island campuses on an as-needed basis.